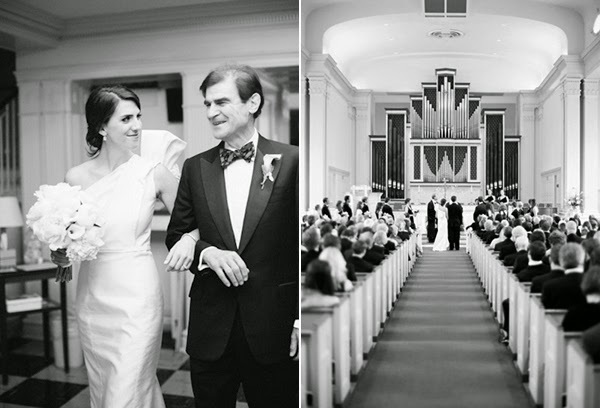 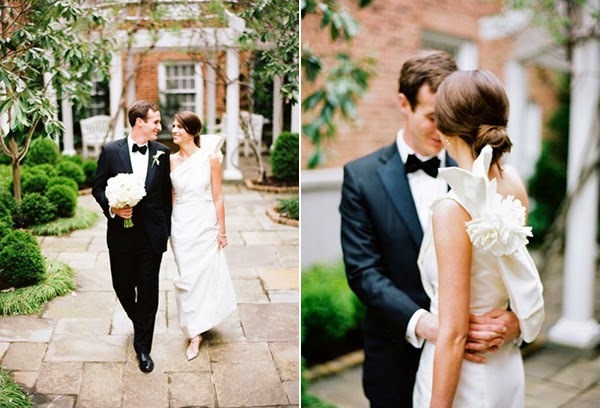 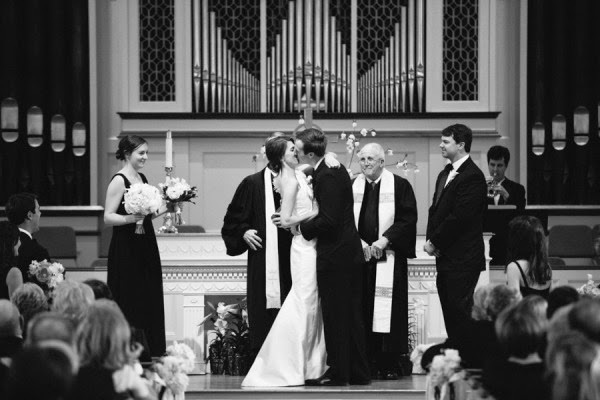 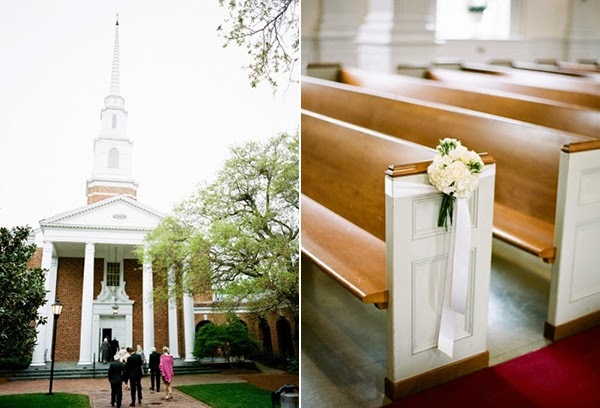 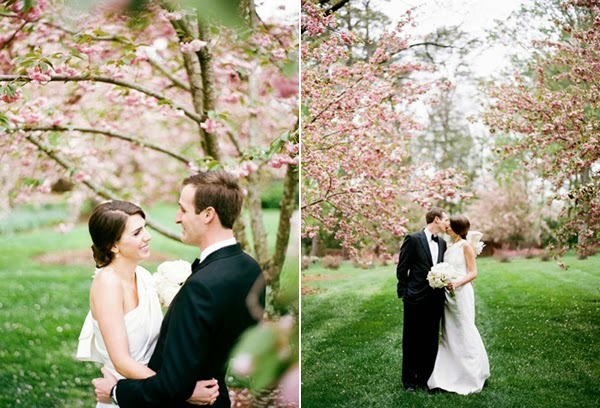 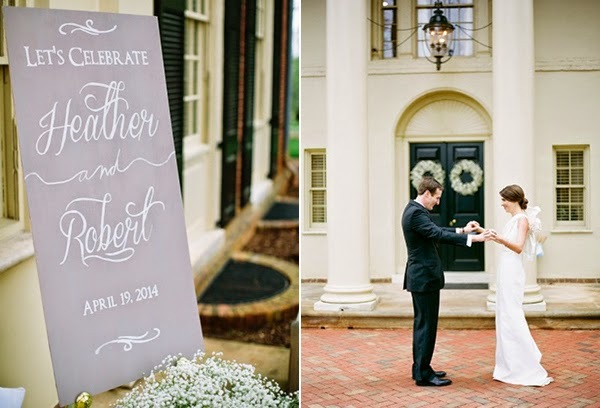 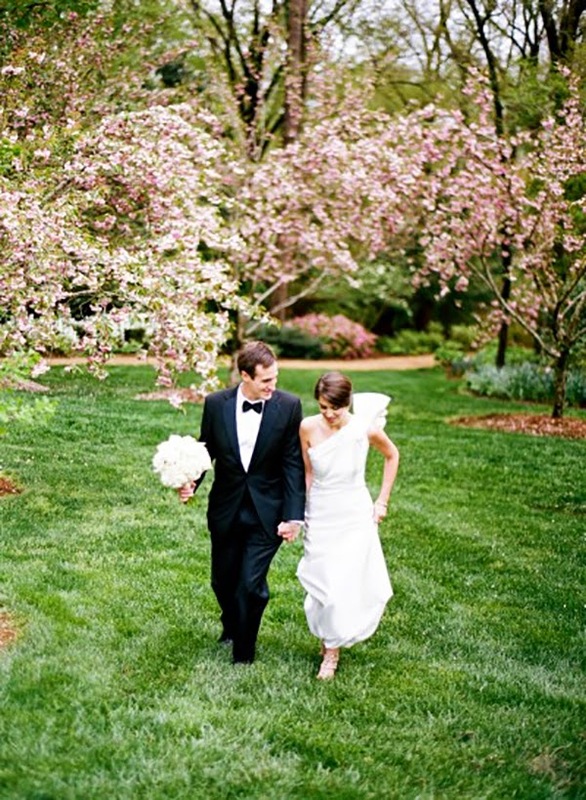 I can't resist a classic, and Heather & Robert's Chapel Hill celebration was precisely that. 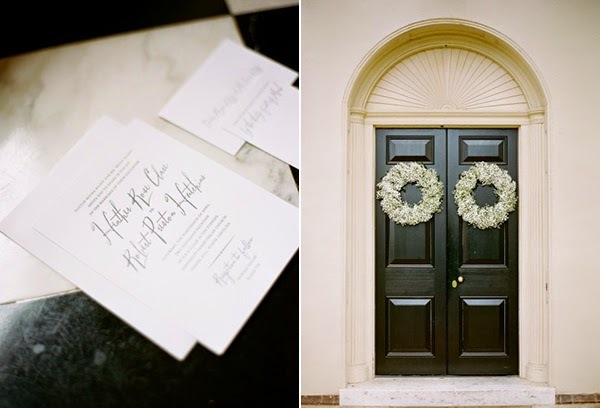 But lest you think this wedding was all tradition and timelessness, I love the healthy doses of modern thrown in, too – the studded pumps the bride wore and the Magpie Paper Works font featured on the Bella Figura letterpressed invitations are proof positive that a classic wedding can still feel fresh and contemporary. 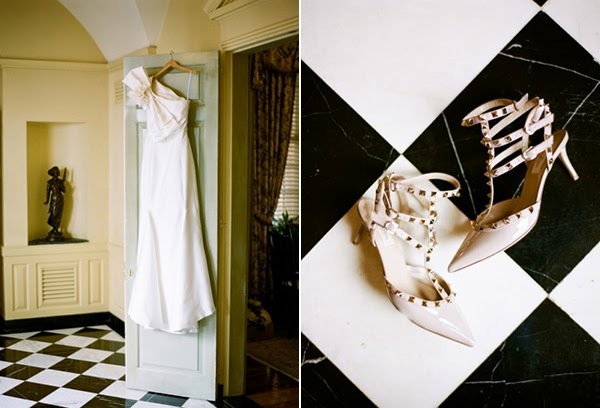 The bride wore a stunning Carolina Herrera gown, and wisely kept the rest of her look simple with a low chignon, drop pearl earrings and a pair of studded Valentino kitten heels. 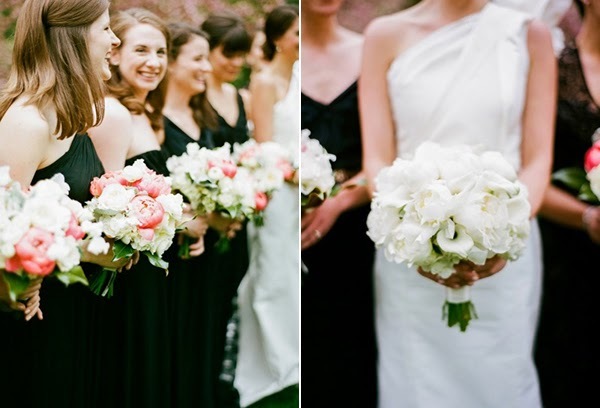 A structured bouquet of white peonies, hydrangeas and calla lilies by Watered Garden Florist was a perfectly appointed final touch. 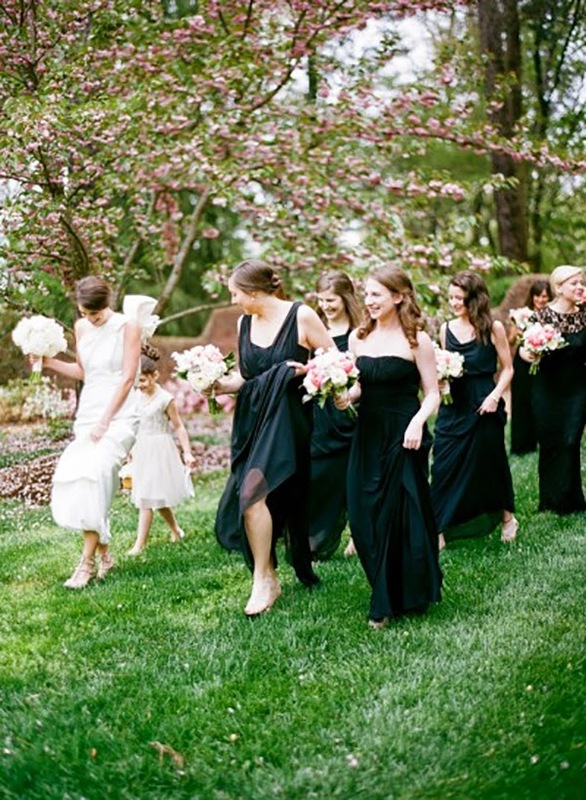 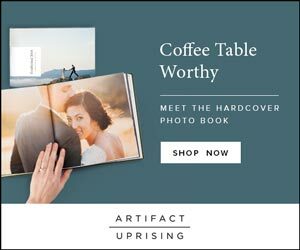 Heather's attendants wore long black gowns of their choosing paired with white and pink peonies posies, while Robert and his groomsmen looked dapper in black tie. 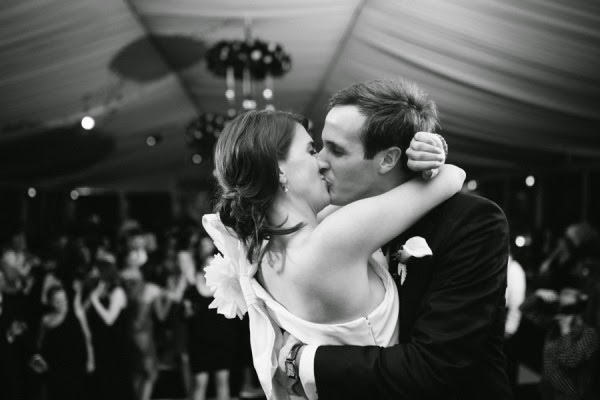 After exchanging their wedding vows in a traditional ceremony at the University Presbyterian Church, the newlyweds and their guests headed to their reception, a tented backyard fête at a private residence in Chapel Hill. 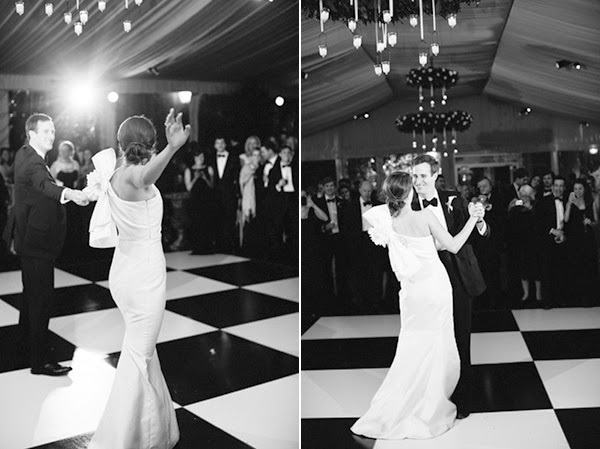 Watered Garden had installed a spectacular magnolia wreath chandeliers above the classic black & white tile dance floor, and after dinner, the Sleeping Booty Band got everyone cutting a rug. 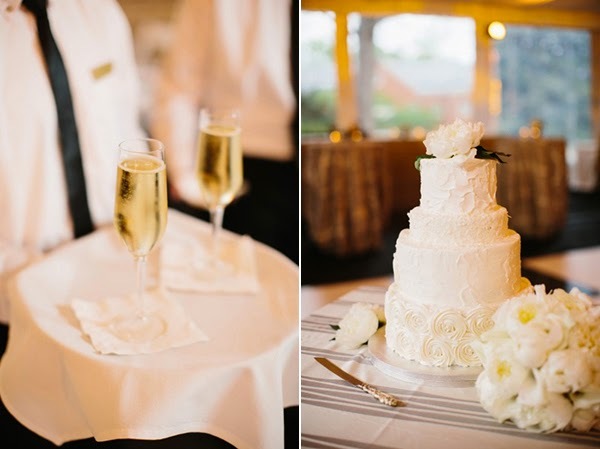 A slice of buttercream-frosted cake from Cinda's Creative Cakes and a glass of Champagne was the perfect sweet ending to a classic celebration. 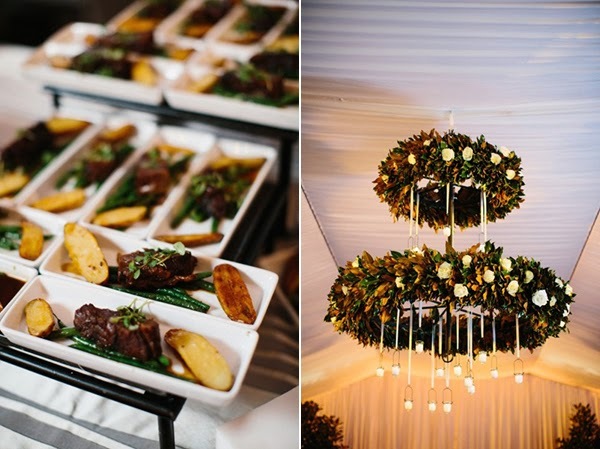 If it were me, I'd probably frame every gorgeous image Graham Terhune captured – but tell me, what's your favorite detail or photograph from this Southern fête? 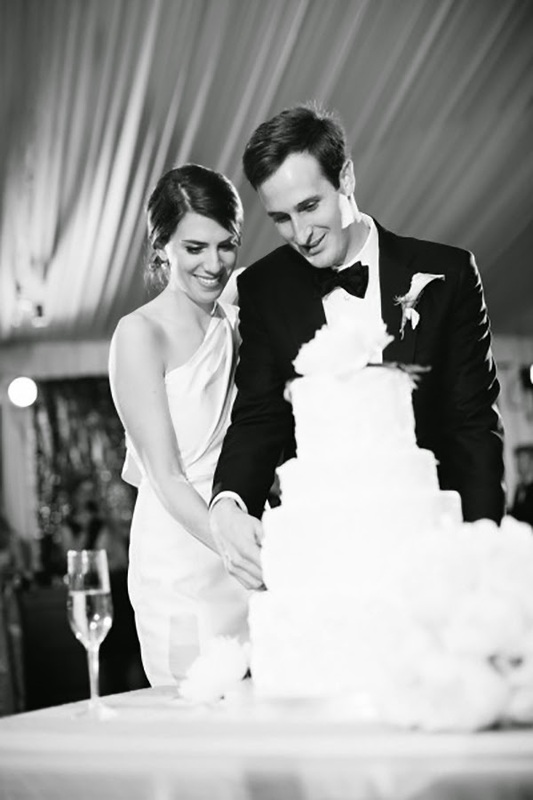 Her dress isn't usually my taste but it looks gorgeous on her! 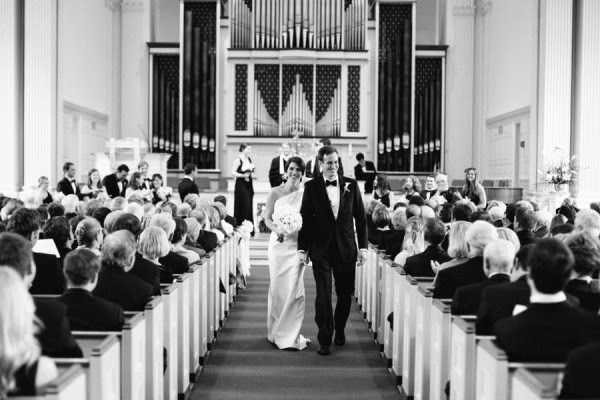 What an absolutely stunning wedding!